In an effort to drive digital and financial inclusivity, Mobitel recently launched mCashQR, as an additional component to its mCash mobile app. 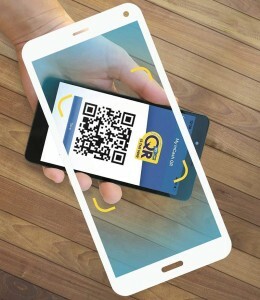 By using a Quick Response (QR) code, users can make transactions with greater speed, ease and convenience. The mCash app allows customers to top up, withdraw mCash and send cash to other users as well as make bill payments and purchase goods and services. The QR function simplifies the overall user experience for customers and retailers alike, enabling users to quickly scan a QR code and make the relevant transaction within a few seconds. The updated mCash mobile app can now be downloaded free of charge for Android and iOS mobile users, and within the next few weeks, mCashQR will be rolled out to over 16,000 mCash touch points island wide. mCashQR was developed as per the technical standard of EMVCo (Europay MasterCard Visa Contactless), a global standard, making it an easy transition to LankaQR which has been introduced by the Central Bank of Sri Lanka making the QR Code interoperable with other payment service providers. Further mCash customers and merchants can create their own personalized QR code from the mobile app, by digitally embedding their wallet number and the transaction amount within the mCashQR code. In addition, the mCashQR code can be saved into a phone and can be shared among other recipients through email or social media networks. The mCashQR code can also be printed and displayed in various locations from a small vegetable or fruit seller to shopping malls, food outlets and elsewhere as a way of accepting payments. Whether the mCashQR belongs to a Retailer, Merchant or Bill Partner, the app will dynamically identify the mCashQR code and its functionality, and display the transactional function to the customer. Thereafter, by entering a PIN number and the transaction amount (if needed), the transaction will be completed, and the parties involved will be notified instantly via SMS. mCash is a Mobile Wallet conceptualized by the National Mobile Service Provider, Mobitel and approved by the Central Bank of Sri Lanka. It was launched in November 2013 capitalizing the telecommunication infra-structure to conveniently, instantly & securely enable financial transactions from the mobile phone. Mobitel embarked on the journey of providing financial services in the country allowing the entire financial industry to benefit from its core competitive advantages such as the reach to customers and the distribution network that has spread country-wide enabling Digital Financial Inclusion to every Sri Lankan. mCash offers services such as Sending & Receiving Cash, Mobile Reloads & Bill Payments, Utility & Institute Payments, Online & Offline Shopping Payments, Bank Deposits and the newly launched Digital Loans where customers can apply & get a loan from the mobile via mCash. To register for mCash simply dial #111# from your Mobitel or Etisalat phone and to start using the mCash Account, Top Up the mCash account using the mCash extensive retailer network that includes small corner shops to leading retail outlets adding up to 16,000+ touch points island-wide including Mobitel Branches, SLT Teleshops, Singer showrooms, Abans showrooms, Keells Super outlets, Amana Bank, Sanasa Development Bank Branches or top up mCash from the Bank Account directly via the mCash smart phone app.